Many items of goods are free for exports without obtaining any licence, while a few are banned and some others are canalized requiring license, prior to export. So, exporter has to check up whether any licence is required before accepting and executing export order. Needless to add, the items of export agreed upon do not fail in the banned list. The Negative list consists of goods; the import or export of which is prohibited, restricted through licensing or otherwise canalized. Part I: Prohibited Items: These items cannot be exported or imported. These items include wild life exotic birds, wood and wood products in the form of logs, timber, pulp and charcoal. Part II: Restricted Items: These are the goods that can be exported/imported only with a licence, in accordance with regulations governing in this behalf. 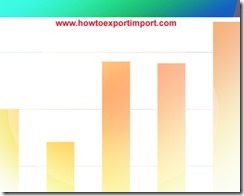 Part III: Canalized Items: Goods, which are canalized, can be imported or exported through the canalizing agency, specified in the Negative List. The Director General of Foreign Trade, may, issue licence to any other person to import or export items which are included in the Negative List. It is evident from the above, barring prohibited items, other goods can be imported or exported by licence or through the designated canalizing agency or others under special conditions. Rathnakaran thoovayil: On 18 January 2017 I would like to import wood from Afica is it possible ? above i read it is Prohibited Items,then how is coming Malaysian irool (Pincoda)and like other wood in India ? Timsy: On 08 November 2017 Material used in the production of animal vaccination by the name of "purified equillis resequin solution". Horse vaccination.... Will be considered prohibited item for export or not?